Warranty: If you're unsatisfied with your purchase for any reason, please contact us within 30 days for a return authorization. The Firefly design features delicate floral lines and flourishes on a light blue background. All of our garments are manufactured in the United States and are completely latex and silicone-free. 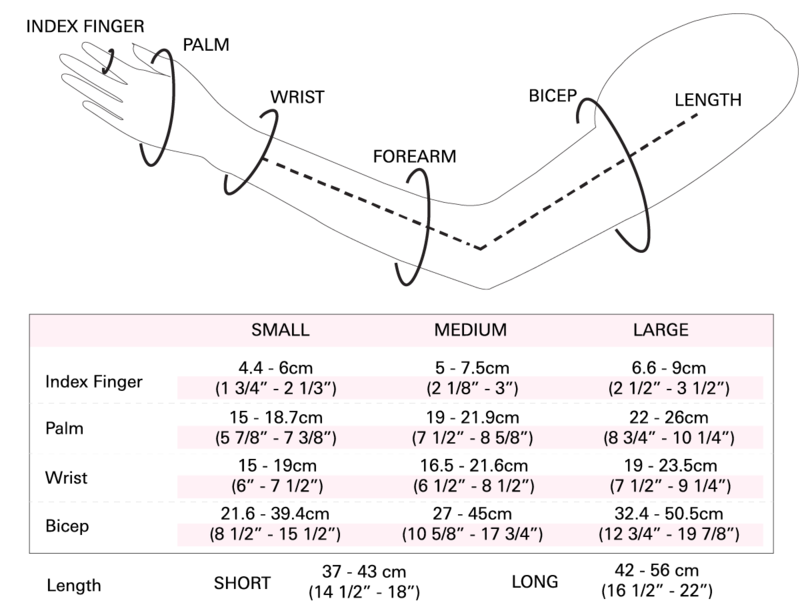 Please visit our sizing page for directions on how to measure and determine your size. If you're unsure of your size or are in-between sizes please have your measurements and desired compression class ready and contact us for a sizing recommendation.